Tea is THE MOST POPULAR beverage in the world. 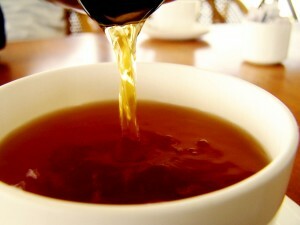 Humans drink more tea than all other beverages combined including soft drinks, coffee and alcohol. So, it makes perfect sense that one of the chief ingredients of Kombucha is tea. But, what is tea? We hear about green tea, chamomile tea, peppermint tea, genmaicha, rooibos, honeybush and Lipton’s tea to name a few. 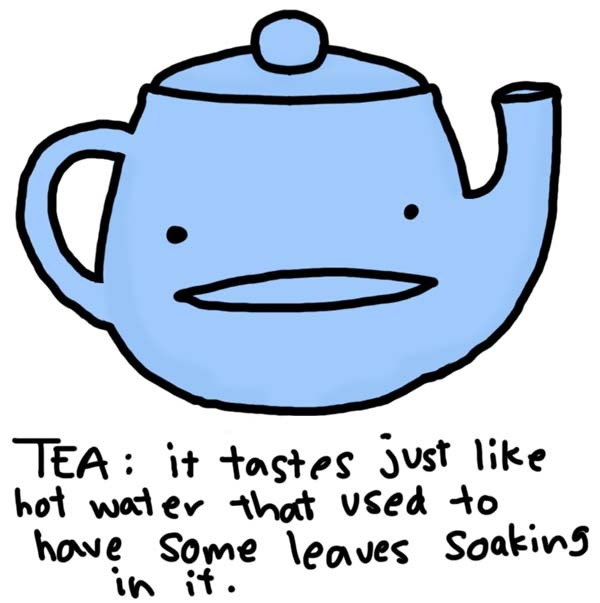 Perhaps any plant that is soaked in hot water to create a beverage can be called tea? It may seem that way, and for day-to-day conversation there’s nothing wrong with that definition. However, many “teas” do not contain what Kombucha needs to brew successfully, especially over time. Moreover, some plants may harm your culture and retard the formation of healthful elements in your homebrew. Let’s take a closer look at the best types of tea for long term brewing of Kombucha. 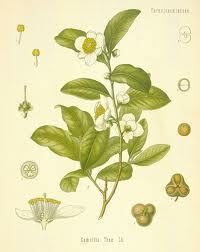 The Latin name for the tea plant is Camellia sinensis. 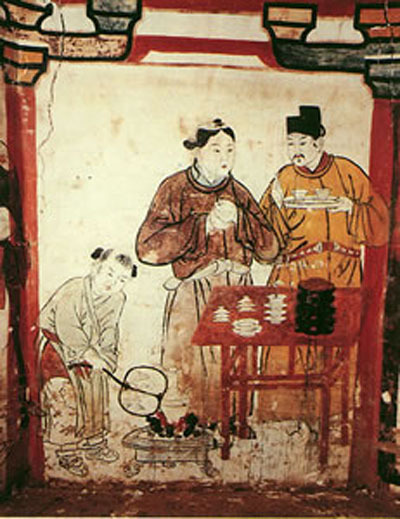 All types of tea – white, black, green, oolong, and post-fermented teas (such as pu-erh) etc. are derived from the same plant. The different types are primarily determined by how they are processed. Traditionally, Kombucha has been brewed with black tea (known as “red tea” in China, named for the color of the resulting brewed liquid rather than the color of the leaves themselves). Research has shown that green tea produces the healthiest looking culture. The most common recipe for brewing Kombucha includes a combination of green & black tea. Each type of tea has been shown to demonstrate specific healing properties which Kombucha’s fermentation process helps to unlock. With Kombucha’s help, the polyphenols & anti-oxidants become more bio-available, which just means they are easier for your body to absorb. Once again, Kombucha works with nature’s own systems to improve their efficiency. Symbiosis defined. Tea contains several nutrients and compounds that feed the Kombucha culture including nitrogen, caffeine and theanine to name a few. Along with the sugar, tea is the main fuel source for the SCOBY. When you brew Kombucha with herbal infusions (also called tisanes), you may get a delicious, healthy fermented beverage, but over time, due to the lack of necessary nutrients, the culture will atrophy and eventually die. That isn’t to say that advanced brewers shouldn’t make herbal “kombucha,” but in order to protect the health of your culture it is recommended to either add some actual tea to your herbs or alternate batches with the tea plant to reinvigorate the culture. Beginners are advised to stick to tea until you have enough large healthy cultures in your SCOBY Hotel to brew experimental batches. I have four criteria for purchasing tea: loose leaf, bulk, organic, Fair Trade (whenever possible). Loose leaf & bulk means less less packaging (more green) and less expensive (more green). I make the personal choice to pay out some of those savings to select organic and Fair Trade. I value knowing that pesticides won’t be passed on to me and that the laborers were paid a living wage for their work. The more often I make conscious choices, the more impact I have in creating an ethical global society. Here is a short breakdown of the different types of tea that are included in my special Kombucha tea blend. I select each one for a combination of its healing properties and flavor profile. Specifically, organic white peony tea (白牡丹茶). 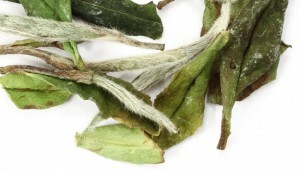 White tea is harvested from the youngest, most delicate buds & leaves which are covered in fine white hairs and located at the top of the tea plant. Once picked, they are allowed to lightly wither in the sun and then are gently dried to prevent further enzymatic oxidation (meaning to turn darker from exposure to the air, kind of like an apple). Black tea has a long history with Kombucha. The literal translation of the Chinese word for Kombucha – 紅茶菌 – is “red tea bacteria” (read more about the many names of Kombucha). Though it was once thought that black tea didn’t contain nearly the benefits of green tea, it has been discovered that despite a longer oxidization process, it is very healthy. Black tea is higher in purines which aid blood circulation and encourage warming properties. I blend in more black tea during the Winter to compensate for cooler temperatures. Women especially may experience poor circulation in their extremities and drinking Kombucha made with black tea can improve that condition. No wonder Kombucha has such a host of healing properties. It is made from a beverage that already has amazing health benefits. Then Kombucha makes it easier for the body to absorb those benefits through the magic of fermentation and a little colony of special bacteria and yeast, which end up producing a bunch of vitamins and enzymes that weren’t there before as well. Bonus! 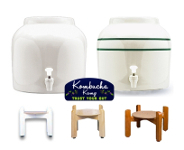 Kombucha cultures love green tea just as much as black tea and grow thick, healthy SCOBYs in either one. **Bonus Definition – flush – tea is harvested 2 times per year. Each harvest is called a flush. The leaves from the first flush in Spring have a different flavor and quality than those of the second flush in Summer. Some types of tea also have an Autumnal flush. 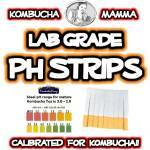 All of these teas, in their seemingly unlimited varieties, have been shown to make healthy, delicious Kombucha and SCOBYs. Mix them and match them for a flavor combination you enjoy. However, there are some teas to be avoided when making Kombucha. Flavored teas such as Red Zinger or Chai – these are often flavored using essential oils that may damage the culture. There are varying opinions about Earl Gray as it contains oil of bergamot but several people have brewed Kombucha with it successfully. You may not want to use it as your main tea but it adds nice flavor and body. Herbal infusions – as mentioned previously, these do not technically contain any Camellia sinensis. Some herbal infusions with high levels of volatile oils will retard the culture’s growth as they have a bacteriacidal effect (kill bacteria). Strongly smokey teas such as Lapsang Souchong – while they won’t technically damage the Kombucha, the flavor is considered a poor match by most brewers. Of course, now that I said don’t use these teas, everyone will want to use these teas and the comments will fill with people who have used them successfully. That’s one of the beautiful things about Kombucha: Experimentation! Look for my next post about teas: Yerba Mate, Rooibos, Pu-erh and the wonderful world of Tea Tasting. I found a roasted kukicha tes and we are curious to brew it. Is there any problem in brewing any roasted tea??? Thanks!!!! We always encourage experimental brews be conducted with a spare SCOBY from your hotel. Let us know how it turns out with the kukicha! Can you use Lipton iced black tea peach for kombucha and i did read the ingredient it has orange pekoe and pekoe cut black tea and natural flavor. We don’t typically like to use flavored teas as they could have essential oils that might damage the culture – use one from your SCOBY Hotel as an experiment and if it turns out ok, then it is good to go! Before I knew I shouldn’t use Earl Gray tea that IS what I made kombucha with. I still do. My SCOBY’s are beautiful thick healthy things and the kombucha is a hearty flavor. I hope I continue to be successful w/it! Sounds like they’ve adapted well! Happy Brewing! In my country it’s very usual to find bancha in local market. But, it seems bancha is very light or weak. I know bancha is green tea too, but is it good to produce kombucha? Bancha can be used. If too weak in terms of flavor, combine with a darker tea. i use senna infused tea just for that extra gut health and improve my digestion. turns out fine no issues. 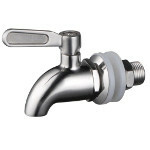 and i use regular tap water rather than distilled and still no issue. as long as everything is clean and sanitised there should be no issue. Can I use Japanese green tea with the roasted rice? For the past 15 years I have been using i/2 cup sugar per gallon of water. So it is not too sweet. To cut down on caffeine, I use a small pan of water, bring it to a boil, take it off the heat, with stainless steel tongs put 7 tea bags in the water and stir them around for about 10 seconds then lift them out and add them to my gallon of boiled water which has the 1/2 cup of sugar in it. With this method a number of people including me find regular Kombucha too sweet or to buzzy like this. Thanks for sharing your tip Loren. Once you have a good mother culture, experimental brews of all types can be tried. What other tweaks to the recipe have you found necessary as a result of reducing the sugar and caffeine content? Shorter fermentation time? Is it ok to use genmaicha for a brew? I have a ton of it I’d like to use for something. I was concerned about whether those little popcorns would attract mold. I have a problem. I have brewed 14 batches of kombucha. My last two batches ate all the sugar but didn’t taste at all vinegary. Just flat nothing! I made sue I used correct amt of sugar, tea and starter. Only difference was I changed the location of placing my brews. I had fan’s and AC running (I have heard these may effect brews. Do you know if this is true? I have never brewed my kombucha with Camellia sinensis tea, only herbal tisanes. My culture is several years old and shows no sign of weakening. The Kombucha culture is a flexible technology and can adapt to other types of tea – however for most people just starting out it is best to stick to unflavored tea aka camellia sinensis. Enjoy our Exotic Teas post for more info on brewing with tisanes. The last booch I made smelled kinda like farts. We’re all drinking it without problems, and the SCOBY looks beautiful. But the smell is off-puting Any reasons why this happened? Besides cleaning off the yeasty bits and container, is there something I can do to prevent the next booch from smelling farty? Yeast is the culprit. Be sure to take your starter liquid from the top of the vessel to prevent imbalances that may lead to off flavors and smells. Happy Brewing! I am very new to kombucha and am trying my first batch. Will decaf tea produce suitable kombucha. Some in my family cannot tolerate the regular caf tea. Thanks! The short answer is yes, but we don’t recommend it as it may not serve the needs of the culture long term. The caffeine in Kombucha is very low compared to drinking a cup of tea and most find they don’t even notice it. Of course, every body is different – Trust YOUR gut! If you’ve been drinking a commercial brand, they all use caffeinated teas for their base. Here is an article with more information regarding Kombucha & caffeine. I bought a scouby from Kombutcha camp and the first ferment I did was great and then second I accidentally measured wrong and put too much water in it for two different ferments, then I realized it only had 3 quarts in and did the last one right. but the scoubys just don’t seem as nice as the first one. grrrr. I went a head a bought black orange blossom tea, green, white and rubies and I mixed them but it seems a lot thinner than the first one. still. Any suggestions on the best way to do large quantitates do you prefer to do gallon jars. I bought a few 2 gallon jars but they are so heavy they are hard to pour. So I went back to the one gallon. I’ll have to buy another thermometer because I stuck it on the 2 gallon and it wouldn’t come off. The daughter cultures will not be as thick as the mother. We want to ensure your success and send larger cultures than your brew will make. Keep the daughters together until there are enough to start a second batch or place them in a SCOBY hotel. 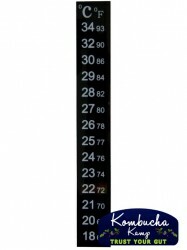 The thermometer strips are permanent and can only be removed by destroying the strip. Here’s a three pack option for all of your vessels. Any tea or herb may be used to brew Kombucha – at least once. 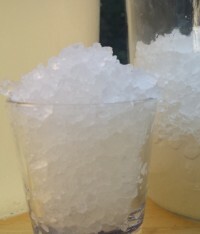 As to whether it will be appropriate for future batches depends on how the culture behaves – if it is able to adapt, it will continue to reproduce and taste delicious. If the culture weakens and fails to reproduce over time, then it is not a good substrate for regular use. Because of this potential for failure, we use extra SCOBYs from our hotel for testing new teas & herbs in order to protect our mother culture. Just a quick question which I can’t seem to find a clear answer to. I’m wondering if it’s better to use loose leaf tea as opposed to tea bags? Or the outcome and the health of the scoby is the same across both. 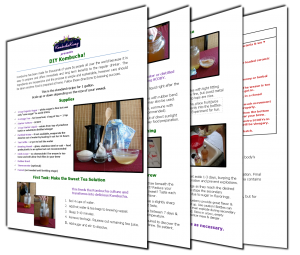 The health of the SCOBY will not be adversely affected by whether the tea is in bags or loose – it will, however, be affected by the quality of the tea used for brewing. We prefer to use loose leaf tea for a couple of reasons – 1) it wastes less paper (packaging) and 2) wastes less paper (money – cheaper in bulk). I have Hashimoto Syndrome, and have read to avoid fluoride. Is your teas blend okay for me to use, or should I stick with just one type of tea? We are not doctors and cannot diagnose any ailments. As for tea and Hashimoto’s, from what we’ve read, it appears to depend on which aspect of the immune system (Th1 or Th2) which is affected by YOUR SPECIFIC Hashimoto’s diagnosis. While we see references to avoid green tea if it is Th2 dominant, we don’t find any information related to black tea. 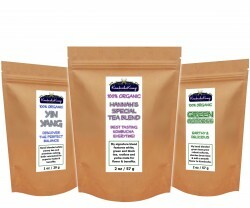 Hannah’s Special Tea Blend, while it does contain some green tea, is primarily a black tea dominant blend. If you are avoiding green tea altogether, then you might consider using a blend of black teas or our Yin Yang blend which is organic white and oolong tea and is lower in caffeine. Hanna when you talk about blending teas, is it usually equal amounts of each tea or does one need to figure out which teas require for instance one tsp more than the others? Mix n match – they do not need to be in equal amounts. Creating unique blends leads to unique flavors of Kombucha. I am new to brewing and would like to know if it is okay to use orange pekoe black tea and how much of the kombucha with the scoby should be added to brewed tea. Hello Hannah, I’m not sure if you’ve already answered this question somewhere, but I’m wondering if you know of any significant difference in nutrient profile or health benefits between using cold brew tea for making kombucha versus normal hot-brewed tea. At least one study has shown that the antioxidant properties of white tea are significantly increased with cold steeping (see “http://ergo-log.com/whitetea.html”), and I’m wondering how much this increase is retained (or even amplified) through the kombucha fermentation. And I’m curious about cold brewing other types of tea as well. When I’ve used cold brew black and green teas (brewing them overnight) for my kombucha I’ve found the natural “green tea” and “black tea” flavors to come through more strongly in the final product. I wonder what this means for nutrient profiles. Any input would be appreciated! Thanks! I’m new to the openings community and want to know why a jelly – like substance is formed in the bottles I filled up and kept for daily consumption after 2 or 3 days. I’m still with the batch brewing method but want to switch to continuous brewing. The Kombucha culture is a vibrant organism that is always reproducing. Even in the bottles, they are starting to form. This is a positive sign as it means your brew is very active and healthy. You may strain them out if you prefer or simply swallow them for an extra dose of good stuff. I have been using regular lipton tea bags and brown sugar for my brew – is that okay? As long as you are enjoying the flavor and the culture is continuing to reproduce, then its okay! There has been a lot of misinformation about Kombucha that has circulated and this piece of advice is an old, leftover from that time. The thought was that pesticides would also kill any other organisms that might naturally live in the tea. Our experience has been that the flavor and quality of the Kombucha brewed with organic tea is superior to that of conventional tea. Any other “cohabitants” in the tea leaves ought to be killed off by the starter liquid. This is why it is always important to have the correct ratio of starter culture & liquid to sweet tea in order to protect the brew. Use organic! I was gifted a scoby and usd your info to brew my first batch. It has been ten days now and while I believe the resulting brew tastes good- it is quite sweet still. I used green tea and just read above some folks saying it takes longer than black teas and others saying it takes less time. So- if after 10 days, it is still sweet, it is n’t finished brewing yet? It is finished brewing when it has the sweet/sour flavor that YOU like best. This time of year, it is a bit cold for KT brewing. We recommend using a heating element to keep it happy and fermenting properly. It should be noted that “White Peony Tea” is not the same as White Peony, a commonly used medicinal plant (Paeonia lactiflora). In chinese medicine the root is usually boiled and the tea used. It would probably be a great additive tea. I am going to start my first batch of Kombucha tonight. I am going to try using Rooibee Red Tea. I am hoping my kids will try the Kombucha, again. They hated it the first time. They love rooibee! Any suggestion? Not a good choice for primary as rooibos doesn’t have the nutrients the culture needs to thrive. If you are using an extra baby, that’s fine – but if it is your only mother, then best to stick to camellia sinensis. Curious about adding some milk thistle to the black tea? Experiment with a baby to see how it responds. Then decide if you want to include it in primary fermentation or use it as a flavoring in secondary. Let us know how it turns out! For Green tea…How is the taste differ for Gunpowder Green tea vs. Green Tea? I like light kombucha taste and need help deciding which type of tea to get. Thanks! Experiment to see which has the flavor you prefer. You might try steeping each type of tea and tasting it to see if you like the original flavor. Then use that tea to make your booch and see how they compare. Over time, you will train your palate to taste the difference. Can I use rooibos tea to brew kombucha, or some other caffeine free tea? Also, what is the minimum amount of sugar I can use? now I use 1.5 cups per gallon and I find it way too sweet. We wouldn’t recommend rooibos as your sole “tea” as it is not the same as the tea plant – here is a post on some of the more “exotic” teas that can be used for brewing KT. As for the best recipe, check this one out. This is so great to go through the teas that work and why. I am really happy you have this site for reference. I was discouraged when I read this about the pesticides and soy in tea, especially since I have a soy allergy! I am so thankful my friend told me about Kombucha. Also I noticed layers growing on the mother fungus. We now have divided it and have two jars going now. I want to try an orange spice flavor but was concerned about the oils in the orange rind. Any comments on this? Save the orange rinds for 2F (flavoring stage) to prevent any interaction between the oils and your mother. Plus the rinds can be bitter, so use sparingly until you find the right ratio. I was just reading somewhere… that a guy ismmaking kombucha using ground raw cocoa beans… what? That is a new one on me… hr didn’t say how… it makes me wonder if he used Choffy…. Otherwise it seems like there would be too much oil in that? Have you ever heard of this? You can flavor with nearly anything. We don’t recommend using them for primary fermentation except as an experiment with your extra babies. Give it a try and see what happens! I just discovered your site this morning and I’m super excited. My husband and I are novices, we started brewing about a month ago. I found that you said chai is not a good tea to brew with. So, my question is how would we go about getting a chai flavored kombucha? We are trying to get his dad away from the commercial chai teas with all the sugar, and he really liked the chai kombucha he found at the store. Is there anyway to make our own? Can I use a tea that has orange peel (not orange peel oil) but just the orange peel…? Thank you!! 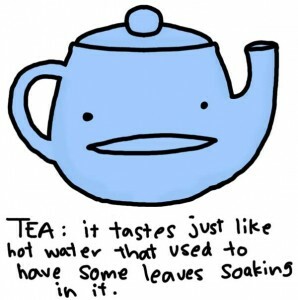 It might work fine, though we prefer to reserve non tea additions to the flavoring stage. Best to try it with an extra SCOBY so as not to harm the mother. Let us know how it turns out! Hi! Love the incredible amount of knowledge offered here. I am a newbie, and I’m currently on my 3rd batch of KT tea. How many times can you brew the mother before its no longer safe to use? The mother atrophies over time. Typically you can get 10 batches from a mother before she tires out. Best to use the babies for healthy, vibrant cultures. 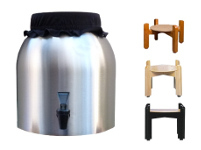 I am interested in starting this kombucha brewing but I am getting a little confused with all the different tea types. I am unable to have caffein due to a heart condition but I have a pantry full of teas that I can safely drink. How do I know which of these would be safe/oil free for the Scoby?! Our first recommendation would be to try some commercially produced Kombucha to see if it aggravates your allergy nearly every brand that is commercially produced Kombucha is made with caffeinated tea. The caffeine is important for the culture as it utilizes it in the fermentation process. Reading the ingredients list on your teas will help you discover if there are any additional flavorings or essential oils or other yucky stuff (i.e. soy lecithin) is in your tea. I just brewed by 2nd batch of kombucha. The first batch I used a mango black tea and everything seemed fine. I didn’t realize you shouldn’t use flavored teas. This second batch I used a blueberry tea. Is this not ok? You mentioned not using flavored teas due to the oils. These teas had dried fruit in them. Not sure if it’s the same. I don’t want to ruin my scoby. Better safe than sorry. Skip the flavored teas in the primary ferment and use them to flavor your KT in 2F. Flavored teas often have other ingredients that may adversely affect the culture. You could use them in primary with an extra SCOBY from your hotel as an experiment but I wouldn’t risk my main mother messing around with flavored teas. Hi all, I am new to kombucha brewing, and the new scoby that forms on top is consistently going mouldy each time. I peel off this layer and throw it away and have even transferred the old mother and washed/sterilised the jar etc. Any tips on how to stop the new scoby going mouldy? Are you sure you are getting mold and not a new baby? Check out this post on mold to double check. Also, if you have mold, but use the same mother, then you will get mold again because the spores have already infected the mother. 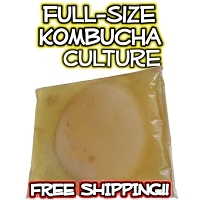 You will need to use an untainted culture to get unmoldy booch. Hannah, before starting can you explain the best way to strain loose tea? Perhaps I am over complicating things but am not sure what to use. You can strain the tea through cheesecloth or use a muslin tea bag or tea ball to hold the loose tea. I’ve been experimenting in quart sized jars – it brews faster, so you have your answer quicker, and works super well! Don’t try oatstraw. total disaster. YES for dandelion, chrysanthemum, hyssop, fennel, lavender, ginger, horsetail, chamomile, rosehip, hybiscus, and berry blends. Don’t do cinnamon – it tastes horrible. Anyone know why certain organic green teas don’t work? Thanks for the tips! I actually love cinnamon brew – but I use the cinnamon chips, not powdered cinnamon (not sure what you used). What organic green teas did you try? Were they flavored? 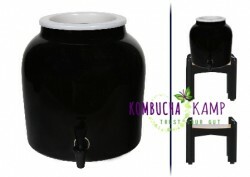 Kombucha is traditionally a black tea & sugar ferment and does best with those inputs. I used cinnamon sticks, but i think the problem was that I boiled them and added it to the black tea for fermenting. The fermented cinnamon flavor was not my favorite, at all. I’ve tried just adding them to the bottle after the first fermentation is over, and that tastes fine to me. Clove and Star Anise especially were really nice this way, too. And they make a beautiful color and drink with floating herbs in them. Nice for gifts! It was a bancha twig green tea, and it just wasn’t producing like I’m used to. It took forever and wasn’t very flavorful, not tart at all. But I tried it with calendula and that worked well – maybe it was just the combinations I was doing that didn’t work. For instance, I brewed dandelion all summer with green tea and that worked super, until I tried it this winter with the bancha tea and it didn’t work at all. Who knows, maybe it needs summer time weather to work. I am excited to try different teas to find my personal favorite. Does anyone know if you can use matcha powder during the brew process or should I wait till the bottling stage? I plan to have an experiment jar with it’s own scopy… just in case of a fluf up. Any tip would be welcome!!!! Definitely do an experimental batch. Nearly anything can be used to ferment Kombucha once. How it fares with the culture over time will indicate if it is suitable for frequent use. Let us know how it turns out! If your KT is forgotten : …& it gets greatly overbrewed, does the acid have vinegar-like qualities, which can be used like vinegar for various household purposes (non-ingested)? Or other usefulness? I wonder if green tea still has the antioxidants if the scoby feeds on the tea itself. Is it possible also to put milk thistle in it? Our village school was gifted a SCOBY, actually about 4 or 5 mothers. They had been fed on raw honey for as long as the previous brewer knew/had them. They had also been feed Hibiscus tea they’re whole life. At least 20 ferment cycles, likely 50 or so before I have been brewing with them, and I have brewed like 3 times. They are the happiest, healthiest looking SCOBYs i have ever seen!! Hannah (or anyone else, please!) I am wondering what you know about brewing with hibiscus? As far as I know, it does not have any tannins and probably lacking more ‘so called necessary’ ingredients. You can brew anything with a Kombucha culture – once. How it behaves over time is what indicates which herbs/flowers/spices may be used in the primary fermentation process. Hibiscus is one of the flowers that works with the culture and many find it works great in primary fermentation. However, the strain that you have may or may not have the same bacterial colony that a “traditional” Kombucha brewed with tea & sugar might possess as it would have evolved to adapt to the substrate upon which it has been feeding. Would love to hear how it does with tea. I have been using half Hibiscus flowers and half Sencha tea, with great results. Scobys are healthy and prolific. i have been able to produce a very white scoby and tasty komucha using an organic ethanol extract of gotu kola and non organic loose leaf oolong tea from the local oriental market. im now currently using a 2 gallon food grade plastic bucket to brew as opposed to a 1 gallon jar. im aware glass is ultimate, but this will do untill i can get either a 5 gallon carboy or a 5 gallon food grade bucket. CHEERS! STAY HEALTHY! is guayusa tea good to make kombucha? So I take it all this information means that it’s a no on yerba mate? Check out the next article in the series – https://www.kombuchakamp.com/exotic-teas-kombucha While Kombucha is traditionally a black tea ferment, yerba mate does contain enough of the elements that it can sustain a Kombucha culture. Hi! I was wondering if using Thai tea in kombucha would be a safe choice. It contains a mix of ingredients that may include added orange blossom water, star anise, crushed tamarind seed or red and yellow food coloring, and sometimes other spices as well (according to Wikipedia). I was wondering if the ingredients would damage the kombucha. Thanks! You are welcome to experiment with a spare SCOBY Vina, but based on that list of ingredients, I’m not holding out much hope. The volatile oils of the spices will likely inhibit the growth of the SCOBY. Please keep us posted on your progress if you decide to brew with it! Which black teas specifically? I have assam, darjeeling, and an irish breakfast tea which we haven’t been drinking so much. The darjeeling normally gets brewed at a lower temp and for a shorter time than other blacks so would I have to be careful to not over brew? Unflavored black teas work best – be they any of the types you mentioned. Best to avoid those with artificial flavorings as they may contain volatile oils that could harm your mother culture. I use assam, darjeeling, english breakfast and many more! I did find Lapsong Suchong to be a bit on the smoky side for my preference. We have been given a Kombucha culture by a friend who uses Yerba Mate tea. We also now use Yerba Mate and after two months the scoby has tripled in size with a lot of new white growth. The Kombucha tasted very good. Is Yerba Mate suitable for long term use? It does contain caffeine, which I understand to be good, even though of the holly family. Yerba mate does contain many of the components the culture needs for sustained growth. The evidence of the new white growth over subsequent batches is proving that it can be used long term. Enjoy the brewing process! I have recently been given a kombucha culture from a friend. He uses Yerba Mate tea and we have also been using this for about two months now. It seems to work well and the scoby has tripled in size with a lot of new white growth. Is Yerba Mate suitable long term? I believe Yerba Mate does contain caffeine, which is supposed to be good, even though it is of the holly family. Does anyone have experience of this? Is Yerba Mate suitable for long term use? Yerba mate is one of the “teas” we can use with Kombucha though the culture is best adapted when some tea (camellia sinensis) is also used in the nutrient solution. Hannah – have you ever brewed with jasmine tea? It is my favorite tea but if it brews too long it gets too tannic. Just wondering how it does as KT. I had a similar question about other green teas. The instructions say to brew with boiling or near boiling water and for 10 minutes but most of the green teas I use would turn out bitter under normal circumstances if brewed under those conditions. Most folks are not tea savvy in the way that you seem to be Craig. Follow the steeping instructions for the type of tea you’d like to use. The fermentation process does convert the bitterness of the tea into a milder flavor. I’m pretty new, but also follow the boil instructions as you stated. (I imagine, as in beer brewing, the 10 minute boil is to sanitize thoroughly and remove chlorine if tap water was used) I add the black tea early in the boil, but wait until I’ve cut the heat and it’s cooled off to add the green or white. As soon as my thermometer reads 180f I add the green, which prevents not only bitterness but damage to more fragile nutrients. I just started brewing, How many batches in a row can the same scoby and mother be used together?. I don’t want to overdue it. A culture is usually viable for 10 brewing cycles or until you notice it lose its firmness and fall apart. Hi Sue. One batch of chamomile will not destroy your culture. Simply use some tea in your next batch. Once you have some extra cultures, use them to make batches with other non-tea infusions. Always protect your mother cultures by using tea. I used celestial seasonings honey camomile,green tea,and black tea..is this combo ok do u think? only one way to find out! Let us know how it turns out. hmm.. sounds good, where did you get the Razz tea from? I recommend only flavoring in the bottling stage to protect the culture – keep some cultures as back up in your SCOBY hotel that are fed unflavored tea and sugar, just in case this culture atrophies over time. You want to avoid teas that use oils to produce the flavor as they can harm the culture. 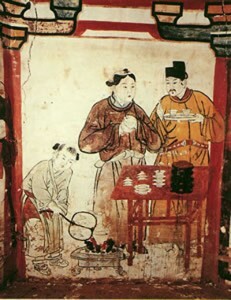 Since this tea has pieces of fruit, the culture is likely using it as an additional sugar source. Observe it over time and if it continues to be robust, then you are good to go! I bought a green tea with natural strawberry, raspberry and pomegranate flavors. I haven’t tried but would this be good/safe? Depends on if the flavors are from pieces of fruit or essential oils or flavorings. If they are from fruit, you might give them a try but if the flavoring comes from chemicals, we’d avoid using it for Primary Fermentation (PF) but it certainly could be used as a flavoring in Secondary Fermentation (2F). My experience shows that the green tea ferments do get sour in a shorter amount of time. I don’t brew with just one type of tea but rather a blend of green, white & black (plus yerba mate & roiboos) as I have found that it yields a tastier flavor and the cultures appreciate the variety. Do you currently blend your teas or use just black or just green? There are so many variables that effect ferment times, it may not be the tea that is increasing the time. Hannah, I have tea on my mind! I was until last week blending only green teas together, Dragonwell Green Tea + Gunpowder Green Tea and my ferment cycle is 20 days. After 20 days enough acidity is present to still enjoy and yet not be overpowered by it. Also, my Scoby’s are quite thick and flourishing well after five months of brewing and rotating them. You recommend blending black and green tea, is there something in the black tea that is not in the green tea? Yes, there are different compounds in black tea than in green tea. For instance, black tea is higher in purines which contributes to the KT having more warming properties – great for in winter. As each tea has its own specific organic profile of different acids, therfore each will have a slightly different effect and taste on the culture. There seem to be varying opinions on purine content of black versus green tea. Yay! Chickens ♥ Kombucha too! Question: is there any other use for the new white “mushroom” SCOBY, other than starting more K? Can it be used for animal feed, fertilizer, compost, etc. I hate to just throw it out, but I can’t use so much. I know this is an old question, but I made scoby “jerky” from one of my extras. I put it in a zip top bag, pounded it out to about 1/4″ thickness (this probably isn’t necessary but mine was pretty thick and I didn’t want it to be inedibly chewy.) I then poured some Bragg’s liquid aminoes and fresh black pepper and put the bag in the fridge for about a week (honestly, I forgot about it after a couple of days!) Then, I layed the scoby onto a rack fit over a rimmed baking sheet and put in the oven on the lowerst setting (~150°) for 4 hours or so. The result was chewy, salty, meaty – great vegan jerky! Almost bacon-like! I love your website. Your Youtube videos are how I got started brewing. Friends are starting to get curious about brewing their own and I want to give them beautiful scobys like my first ones. Any ideas of the best way to produce unblemished scobys, without yeast (brown spots and edges)? The cultures start out white and then turn darker the longer they are exposed to the tannins in the tea. According to one of our bloggers from Thailand, white & green tea produce the whitest scobys. 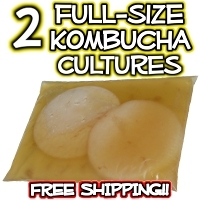 Id like to add my 2 cents, but i share scoby’s with friends as well, and i have actually found that growing them in pure apple juice produces THICK and white scoby’s rather quickly. 2-3 weeks and you will get 1/4 inch plus, and then transfer it to green tea for another week or so to help keep it from atrophy. cant hurt to try it 🙂 and the apple cider vinegar type liquid left is very yummy on salads. Most SCOBYs will thicken at that rate if left undisturbed, though the apple “cider” you are making does sound tasty! Here’s a post about using fruit in the primary fermentation instead of sugar. Happy Brewin! I heard oolong was good or irish breakfast.